Jerry Edward Cornelius, current head of the A:.A:. – Astrum Argentum Grady Louis McMurtry Lineage. “Judge not, that ye not be judged”. If Satanism is based on freedom, then to codify it would be ludicrous. 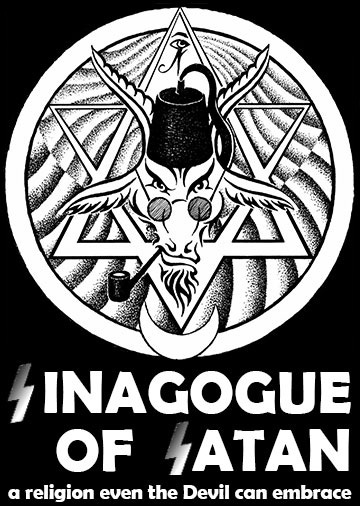 The Sinagogue of Satan was founded on 1-29-99. A religion based on the Ancient and Accepted Rite of Free Masonry’s definition of Satanism, as described in the above paragraph taken from Albert Pike’s work Morals and Dogma. This paragraph was plagiarized from Eliphas Levi’s History of Magic published in 1860. Please note that Lucifer is mentioned as a falsehood, so this paragraph has nothing to do with the Taxil Scandal and Leo Taxil was six years old when it was written. Also notice this sentence: “For the Initiates, this is not a person, but a force, created for good, but which may serve for evil”. For the “Initiates”, more than apparently people were initiated into this belief system and now continue to do so through the Sinagogue of Satan. This religion is not based on any other works except for Aleister Crowley’s. His connection with the Freemasons and the fact we took our name from a short story in his book “Konx om Pax”, called “Thien Tao; or, The Synagogue of Satan” cannot be denied. Nor can we deny being a by-product of Thelema. Sinagogue, spelled Sin as opposed to Syn is intentional, we are Sinners, not Jews, although some of our members may be both. The Sinagogue possesses its own “Holy Book” but its members are not required to read or accept it. The only members that are required to read and accept it are members interested in the priesthood and/or ambassador positions. As a member, you have the right to believe in whatever you like as long as you don’t push your beliefs on others. “To you be your Way, and to me mine.” Sura 109 #6 of the Holy Koran. The aim of this religion is the ultimate destruction of religions through the advancement of individual freedom, social responsibility, and education. With freedom comes the responsibility of other people’s freedom. One man’s freedom must never become another man’s slavery. Without mutual respect and cooperation, we will only continue to kill ourselves in the name of God, country, and greed. The philosophy of SoS undermines all existing religions including our own. Thus the SoS Philosophy is based on a paradox, much like the Tao. It is self-canceling and cannot become the new bully on the block. And, when society respects each individual’s rights, no matter how diverse, the Sinagogue of Satan’s job will be complete. We all have the right not to be victimized in any way, shape or form for any reason and remember children are people too, even your own. The Singogue of Satan exists to educate the masses away from old world thinking and to illuminate and educate them so they happily accept a new world order, ideally one of, “Self Rule” and mutual cooperation. Now for the method; by not having any set reality or belief you are not trapped by their rules, and are free to start making your own interpretations of what reality is or isn’t. This is freedom, the breaking away from the status quo, to see things from a more personal perspective. Much like when Satan broke ranks from god and became the first revolutionist. It’s funny how governments promote god worship when most modern governments owe their existence to Freemasonry and revolution, the dream of freedom, the spirit of Satan. Governments and religions, actively partake in propaganda against Satanism for they truly fear being overthrown. As for America, Satanism is Americanism, for America supports freedom of religion in the same Masonic context that SoS does. Although certain religions in America attempt to combat this, our wonderful constitution, (written by Freemasons) prevents them from achieving their goals. Yes, SoS reaches far past the United States borders. And no, unlike my government, I’m not trying to spread the American culture to other countries. But I am trying to spread the light of phosphor, the light of freedom throughout the world. I obtained legal recognition for this mass manipulation scheme from the State of California and The Federal government of the United States of America, by utilizing my authority as an Ordained Minister of Universal Life Church Ministries (U.L.C.M). I learned a little bit from religions and religious groups and used it to turn the tide in Satan’s favor. Rather in your favor as consumers of prepackaged mail-order religions/realities. You can see although we are predominately Satanic/Thelemic/Masonic in nature, SoS accepts all religions, beliefs, non-beliefs, races, cultures, ideologies, nationalities, sexualities. As long as those that wish to join accept the premise that each individual has the undeniable right to his or her choice of reality no matter what your personal religion or choice dictates. 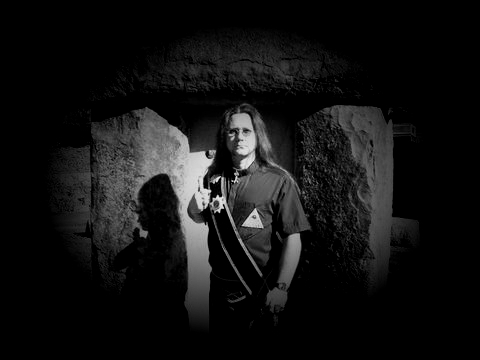 We do not try to sway you into accepting Atheism, Freemasonry, Satanism, or Thelemism, for that is not our aim or goal. Our aim and goal is freedom, as it always will be. We offer an environment to surf realities/beliefs, as you will, without being engulfed, submersed, suppressed, or subservient to any of them including ours. We are a “free” church in all the possible definitions of the word. And freedom is only found in the mind, for the physical world and its systems, such as society, bind us. Please remember that with freedom comes a great responsibility to our neighbors in this society, their freedoms. Although we view reality/beliefs as the unalienable right of everyone, I do support your full-blown assaults on those that would infringe upon your rights, as long as you execute your attacks in a legal and productive manner. We do not turn the other cheek unless it’s to buy time to smite with discretion. Hopefully, by your mannerisms, diplomacy, and actions, more people will see that freedom is not evil and people can be socially responsible without a threat of Hell or any other religious afterlife accounting. Remember it is their right to live and die in their belief just as it is your right to live and die in yours. Besides, tolerance is not acceptance; you don’t have to like someone or something to tolerate them or it. This does not deny you your favorite bigotry and hatreds. It merely keeps you from violating the rights of those you hate. It really is that simple folks. You can hate each other all you want, just don’t act upon it. Now, one last thing, we ask you to abide by the laws of your countries and local governments as they pertain to you and to take an active role in changing them as you feel is needed. We are not slaves to society, we are cooperative opportunists within it. “Tune in”. Learn about your community, environment and its social/political systems. “Turn on”. Learn to use the system so well it becomes an extension of yourself. “Take over”. Manipulate and change the system as needed for social advancement and freedom. These are reserved for SoS members that accept the SoS religion along with their own personal belief system. Members of other beliefs are not allowed this privilege, for they can obtain such status through other groups. Ambassadors and priest/priestess positions exist to serve the members, not to be served by them. For more information on these positions see: “Structure / Goals and more“. SoS exists to give people of subcultures and minority religions, a legal connection to their beliefs that can be used in a court of law if the need arises. Such as housing, job discrimination, and harassment. And ensuring religious rights while in the military services. SoS is also known as “The Hermit Path”. We exist for all the people in this world that enjoy their independence in all aspects of life. Until now, this vast number of individuals lacked a legal connection to their religious rights. Governments and societies ignore the needs of the individual and cater only to mainstream groups they find acceptable for society. By creating this religion I have forged a path that all may tread, thus giving the once voiceless a voice and the once weak, strength in numbers. SoS is not affiliated with any other satanic groups and is not bound by any other group’s authority. We do however have a close relationship with the E.G.C. within Ordo Templi Orientis, They were kind enough to grant us the right to use and adapt E.G.C. rituals for SoS needs and for this I’m eternally grateful, for we are the only satanic group to have a connection with an order of antiquity and Freemasonry. Yes, I am an inactive O.T.O. member and they still have my love, respect, and support, but my view of the world cannot be restricted by anyone’s system, therefore I am a hermit. In the Members section, you will find the SoS holy book, “Book Of The Goat”. This work is not mandatory to accept unless you apply for ambassador or priesthood status in the SoS. It is merely offered to our members as an alternative holy book and is owned by SoS and no others. We are not trying to create a church of unity; we merely support the rights of the individual to achieve freedom and pursue happiness. SoS is not a utopian movement in any way, shape or form. I cannot stress this point enough. But we do believe however that through education, respect and mutual cooperation we can make the heaven other religions promised here and now. Reply: We spell it Sinagogue because we wanted to capture the word sin. Call it poetic license if you will. To top it off, it’s not offensive to the Jewish population or my grandparents. Answer: I have joined a lot of religious groups that preached freedom of individuality. But, after I met my new friends, I found something quite familiar. The usual group ego that either absorbs, destroys or expels those strong in their will. Ego food for some narcissist or megalomaniac. Money scam, the higher you get to the top the more it costs you, or just the outright give us your property. The control freak scenario of anti-cult propaganda, which by the way is the exact opposite of what those groups claimed they were about. The writings of the creators of the beliefs were quite different from those in practice. So, after becoming disgusted with my pursuit of a religion that promotes freedom of the individual, I became a legal minister and created one. Reply: That’s what all religions have been doing since the dawn of history. I wanted to make a new religion, not another old one. A religion by the members, for the members and each and every member, a respected individual and participant with the unalienable right to their personal reality and belief. Answer: Satan was the first revolutionist. Therefore, Satan as defined in “Morals and Dogma”, is the perfect figurehead for a revolutionary religion. His act of rebellion was the first and most famous allegory of freedom. So we use his image as the symbolic representation of our aims and goals. Reply: Satanism did exist before then, OK not Anton’s Satanism but another far older form as you will see now. In Jules Bois’ “La Satanisme et la Magie” published in 1895, Bois declares that there are three Satans: the Satan of the poor dispossessed who turn to him for consolation; the Satan worshiped for perverse pleasure by depraved and rich people; and finally, the Satan of the dilettantes who are drawn away from true religion by an intellectual interest in mysticism. He defines Satanism as anything that departs from the worship of One God. [this was taken from Chapter 18 “Satanists and Anti-Satanists” Eliphas Levi and the French Occult Revival. And let’s not forget that wonderful little paragraph at the top of this manifesto, it too shows Satanism existed long before the1960’s. Thus, the whole “Satanism did not exist” until LaVey invented it is merely the propaganda engine of a philosophy based on an objective reality that wants your $200.00. My co-founder and I wanted to make a new religion, not another old one, and as you can see, we have achieved our goal. Please feel free to use the message boards, not only for discussions but to post your websites and any updates, events, occult items, music, advertisements and information you think others may enjoy. Keep in mind no one enjoys spam or harassment. Satan’s blessings to you all!